Full of flavor, vibrant, lively, and bursting with antioxidants — it’s easy to see why curry has taken hold across the globe. With nearly every continent, and dozens of countries spanning each, boasting their own iconic curry dishes, we thought it apropos to highlight curry around the world and round up eight of our favorites. You can even find these colorful concoctions right here in the States. The Curry: Vindaloo. 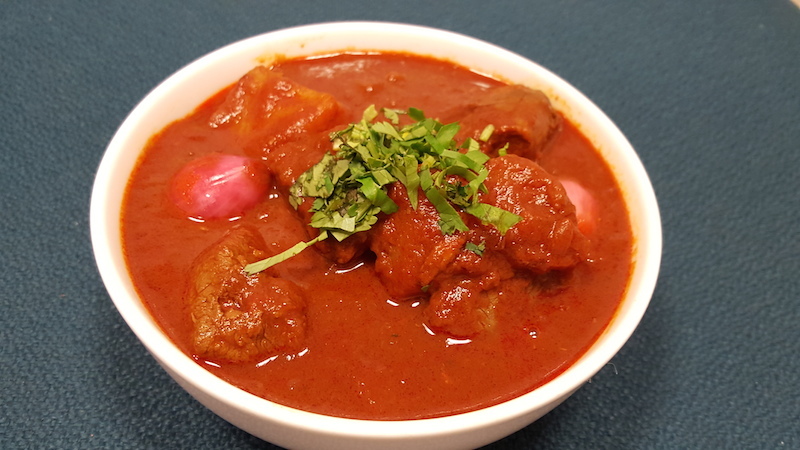 Hailing from the region of Konkan Goa, vindaloo is derived from a Portuguese pork dish marinated in wine and garlic. In India, the wine is swapped for palm vinegar, the pork for chicken or lamb, and red chile peppers, potatoes, and warming spices like cinnamon, clove, and cardamom are added to make an addictively spicy curry. 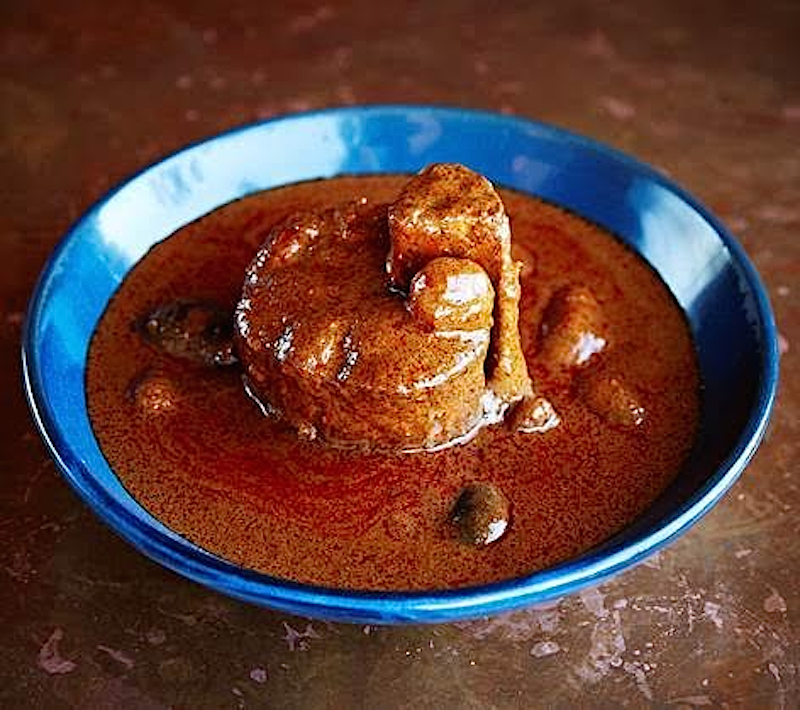 Find It Here: Chef Nilesh Singhvi serves up an unabashedly authentic rendition of lamb vindaloo at the legendary Bombay Club in Washington, D.C. — it’s marinated in aged vinegar with all the right spices. Make a reservation at Bombay Club. The Curry: Rendang. With a heavy Indian influence, Malaysian curries are typically made with curry powders chock full of turmeric, coconut milk, shallots, ginger, shrimp paste, chili peppers, garlic, and tamarind. The dried meat version, known as Rendang, is rich in coconut milk and often served during celebratory events, like weddings. Find It Here: In true Malaysian form, chef-owner Salil Mehtaat of Laut in Manhattan (one of the first Malaysian restaurants to receive a Michelin Star) simmers your choice of beef, shrimp, or chicken until completely dry with grated coconut, exotic lemongrass, and lime leaves, adorning his rendang with decadent coconut milk. Make a reservation at Laut. The Curry: Punjabi Curry. Like Thailand, India is home to many varieties of curry, differing in flavor and spice level tremendously from home to home. Americans are likely most familiar with butter chicken, one of many Punjabi curries known for their use of masala (a blend of ginger, garlic, onions, and tomatoes) with ghee and mustard oil. 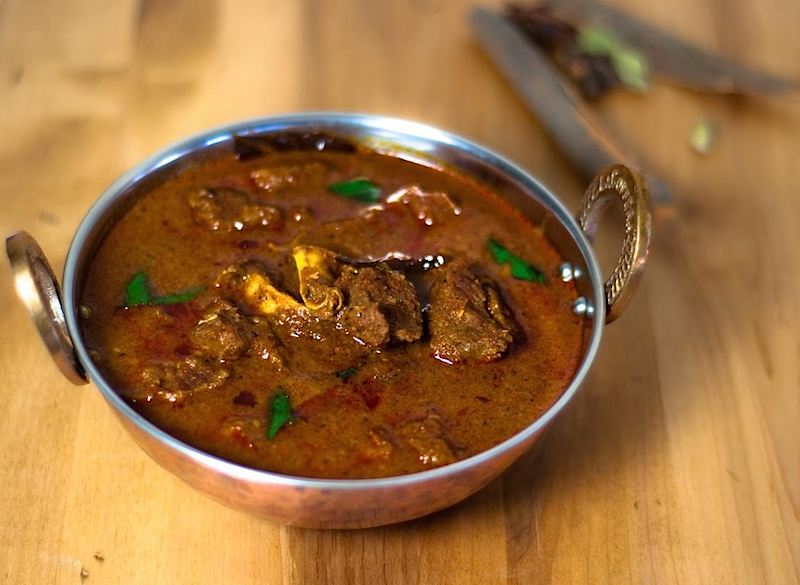 Find It Here: At Marigold Maison in Phoenix, you can find a Punjabi curry made with tender goat and sautéed with vibrant spices, such as cumin, cardamom, coriander, and garam masala. Make a reservation at Marigold Maison. The Curry: Katsu Curry. Though Japan eschewed outside culinary influence for many years, curry found its way into the country’s cuisine — here it’s made with onions, carrots, potatoes, and a curry-powder-based roux and often served over rice or noodles or topped with a fried pork cutlet (called tonkatsu), like in the case of Katsu Curry. 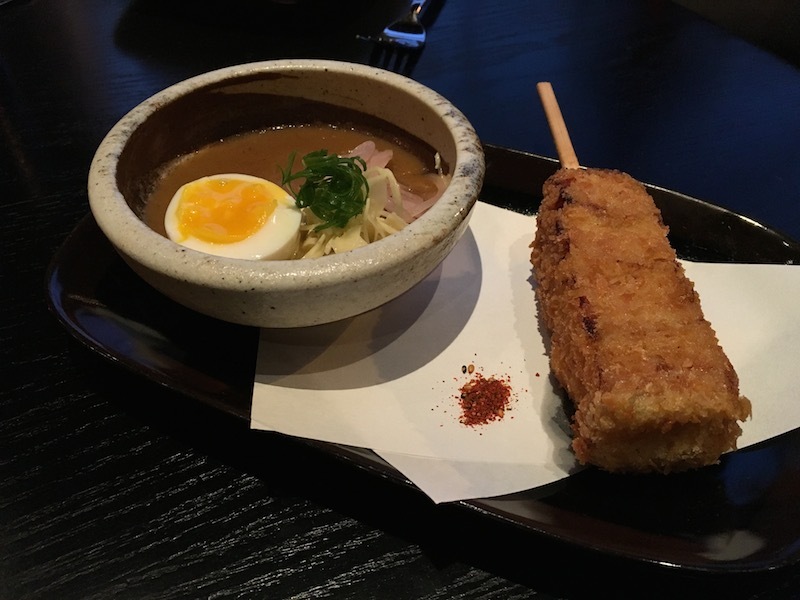 Find It Here: For a true taste of Japanese Kastu Curry, head to Zentan in Washington, D.C., where chef Yo Matsuzaki crusts tender pork jowl in panko before deep frying it and serving with housemade curry sauce and a soft-boiled egg. Make a reservation at Zentan. The Curry: Curry Goat. Indian indentured servants brought their beloved curry with them when they came to the West Indies. But unlike typical East Indian masala blends, Jamaican curries rely on pimento and pass on Indian spices like cardamom, star anise, and mace. 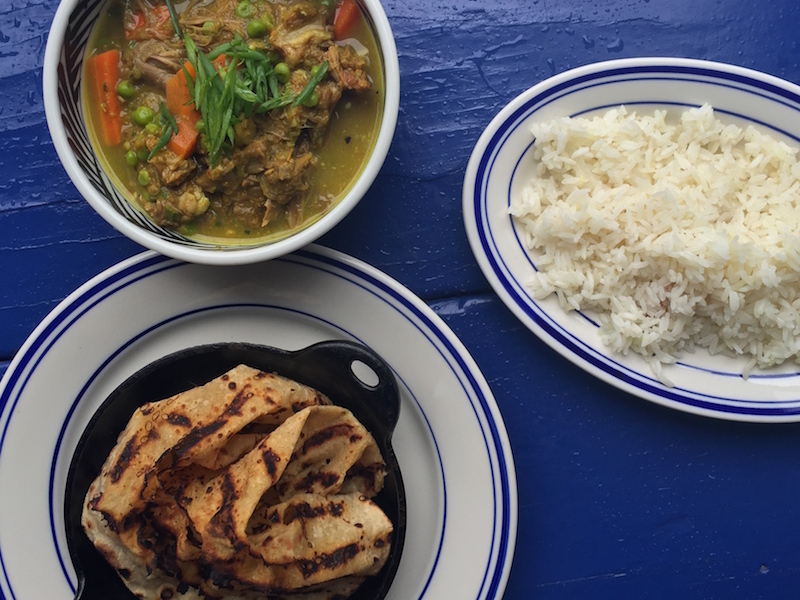 Find It Here: One of the country’s top Jamaican restaurants, Miss Lily’s in New York serves up a bona fide Jamaican curry goat stew, made with slow-cooked goat, a turmeric-pimento-laced curry sauce, peas, and potatoes, dished over jasmine rice and served alongside grilled roti bread. Make a reservation at Miss Lily’s. The Curry: Green Curry. 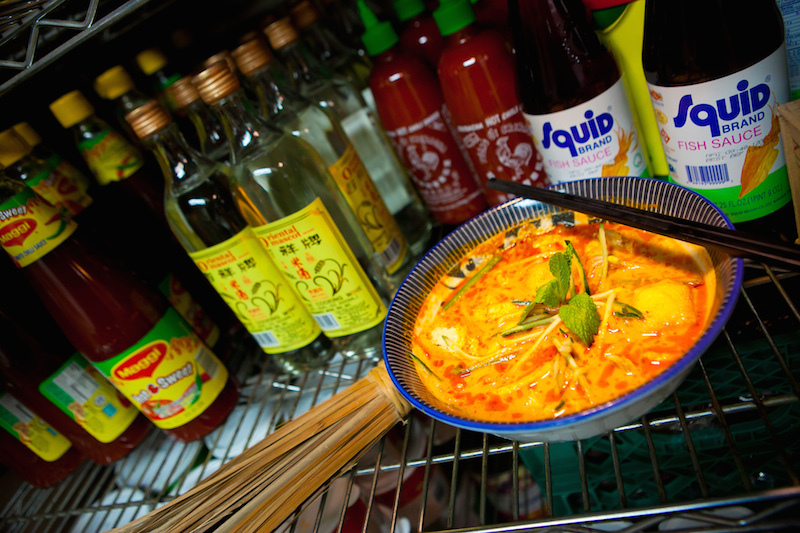 As Thai cuisine is as far from monolithic as you can get, the curries here vary widely from region to region. In Central Thailand, green curry gets its vibrant hue from fiery green chiles and its creaminess from the addition of coconut milk. 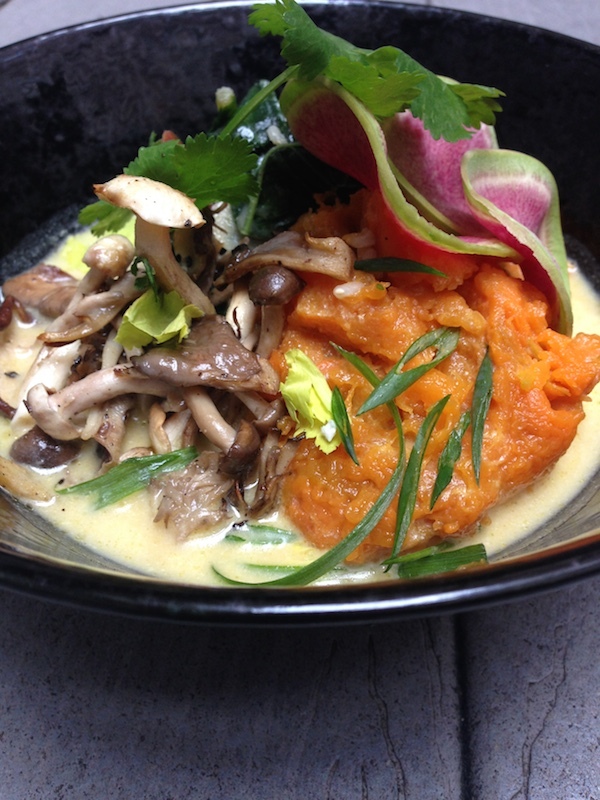 Find It Here: For a modern twist on classic green curry, head to Bud & Marilyn’s in Philadelphia, Pennsylvania, where chef Marcie Turney roasts kabocha pumpkins with green coconut curry, shiitakes, kale, and brown rice for a vegetarian bowl worthy of superfood status. Make a reservation at Bud & Marilyn’s. The Curry: Bunny Chow. Thanks to an influx of Indian immigrants 250 years ago, South Africa is now home to several curry varieties, including our personal favorite: bunny chow. Made with lamb, chicken, or beef, the curry gravy is poured into a hollowed-out loaf of bread (think Panera bread bowls) and is eaten with your fingers, often from a carryout stall. 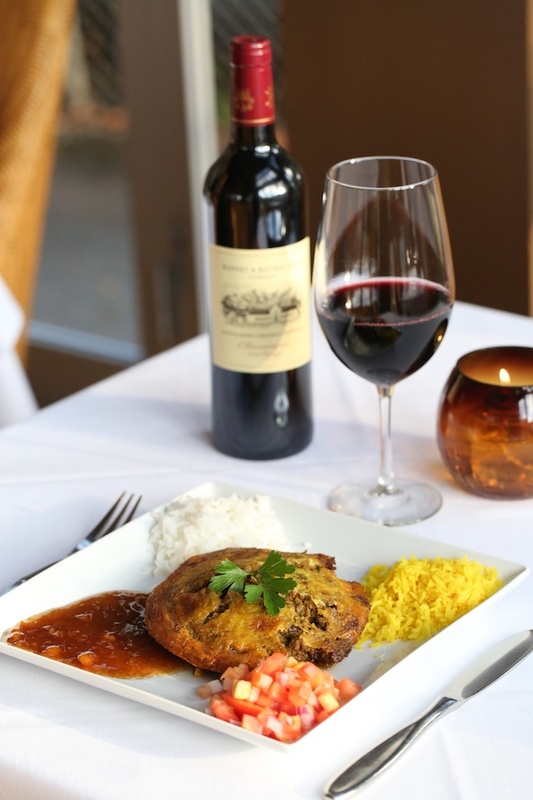 Find It Here: Atlanta is home to a handful of South African hotspots, thanks to former soccer star, Justin Anthony, who owns four SA restaurants in town. At his modern eatery Yebo, you can find three versions of bunny chow: chicken with cilantro, seafood with lemon butter, and bobotie (a sweet ground beef curry). Make a reservation at Yebo. The Curry: Massaman Curry. Though most of Thailand’s curries are of the technicolor variety (think yellow, red, and green curry) their iconic-yet-mild Massaman curry draws inspiration from Persia and marries traditional Thai flavors (chiles, lemongrass, galangal, and shrimp paste) with Middle Eastern and Indian spices (cardamom, cinnamon, cloves, star anise, and cumin). Find It Here: Chef Louis Tikaram is taking a note from his own Fijian-Indian background to spice things up at E.P. + L.P. with a venison shank Massaman curry spiked with marble potatoes, pearl onions, and a pickled mustard green relish. Make a reservation at E.P. + L.P. Which style of curry around the world do you think is best? Tell us here or over on Facebook, G+, Instagram, Pinterest, or Twitter. Kate Parham Kordsmeier is a freelance food and travel writer for more than 100 publications, the Atlanta Expert for About.com, and the author of Atlanta Chef’sTable: Extraordinary Recipes from the Big Peach. Follow her on Instagram and Twitter. You are forgetting Fiji! We have some of the best, in my opinion.